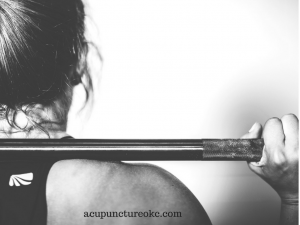 If you are an athlete, you might want to consider trying acupuncture to help you heal, remain injury free, and even improve stamina. Acupuncture has a very high success rate in resolving sports related injuries and is even known help to prevent injuries. Today many professional sports teams have acupuncturists on staff to treat both acutely and chronically injured players as well as help them recover from the physical demands of their discipline faster to improve stamina. Often, those specializing in sports injuries focus on musculoskeletal injuries like stressed or damaged muscles, ligaments, tendons, and joints. Treating injuries with acupuncture isn’t new. We know that acupuncture was often used to aid those who practiced martial arts in healing. Today we have more advanced techniques to diagnose and treat ailments, but using ancient methods to aid the modern approaches is known to decrease inflammation, reduce swelling, decrease pain, increase blood circulation, and relax strained or damaged muscles, tendons, or ligaments. It is important to begin acupuncture as soon as possible after an injury for the best results and shortest duration of treatment. If you have a longstanding injury, it can longer for the condition to heal due to the structural cause for the lingering pain and discomfort. Using acupuncture as a way to prevent injuries, while a new idea in the Western world, is also an ancient practice. In Chinese medicine, by keeping the body in balance we are able to protect ourselves from injury by making the body stronger and more efficient. Are you an athlete looking to recover or stay injury-free? 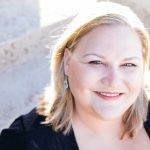 Give Toni a call at 405.905.5248 or check out bewellokc.com for holistic sports medicine in Edmond, OK. This article was posted in Acupuncture and tagged acupuncture and athletes, acupuncture and sports, acupuncture edmond, acupuncture okc, be well acupuncture, sports injury, sports medicine edmond. Bookmark the permalink. Follow comments with the RSS feed for this post.Comments are closed, but you can leave a trackback: Trackback URL.